(Reuters) – Kuwait has advised citizens to make sure their phones contain no material that might be seen as being linked to Islamist militants before traveling to the United States, local media reported on Saturday, September 3rd, after three men were denied entry in July. “The embassy of the state of Kuwait in Washington urged citizens to make sure that their phones do not contain any materials or photos of extremist nature, related to areas of conflict or terrorist organizations or footage of violence of all kinds before entering U.S. territories,” KUNA said, citing a statement. 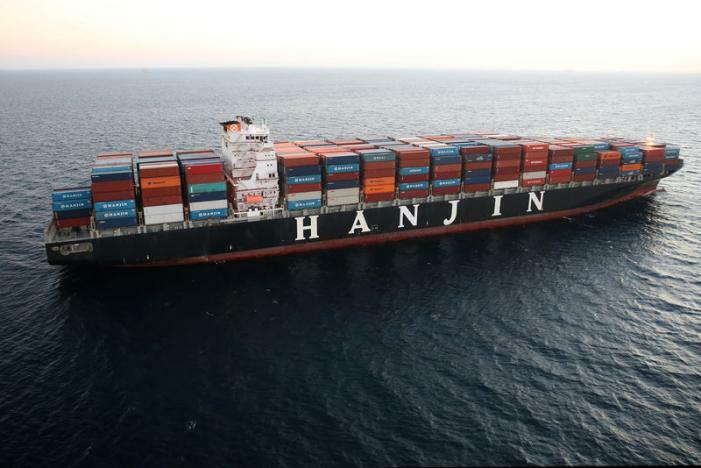 (Associated Press) – A Hanjin container ship that was stranded off the California coast for more than a week began unloading Saturday after a judge protected the global shipping giant from having its assets seized in the U.S. as it struggles to avoid bankruptcy. The 1,145-foot-long Hanjin Greece began unloading tons of imported clothing, electronics, furniture and plastic goods, Port of Long Beach [California] spokesman Lee Peterson said. “This is good news for cargo owners and American consumers, just in time for the holiday shopping season,” Noel Hacegaba, the port’s chief commercial officer, said in a statement. The Greece was one of four vessels that were blocked from entering or leaving the port after Hanjin filed for bankruptcy protection on Aug. 31 in South Korea and the U.S. on Sept. 2. Creditors had refused to extend it any financial aid. Dozens of ships around the world were stranded because Hanjin couldn’t cover fuel bills or guarantee that dockworkers, crane operators, tugboat captains and others would be paid for their services. The vessels reportedly contain about $14 billion worth of merchandise. The disruption has sent ocean shipping rates soaring and left major retailers scrambling to work out contingency plans to get their merchandise into stores. Several ships were seized on behalf of creditors, including the Hanjin Montevideo, which was unable to leave Southern California after unloading. Two suppliers claim that Hanjin owes them about $775,000 for fuel in the ship’s tanks. On Friday, U.S. Bankruptcy Judge John K. Sherwood in New Jersey granted Hanjin protection from any more seizures in United States territory. Lawyers for Hanjin told the judge that a South Korean bankruptcy court had approved releasing $10 million to cover the costs of unloading the four ships that were off the U.S. coast, the Long Beach Press-Telegram reported. Other nations have granted similar protections as Hanjin tries to keep afloat. The company has lost money for years thanks to a global trade slump and a huge oversupply of ships to carry cargo, which has driven ocean shipping costs to historic lows. The world’s seventh largest ocean shipper, Hanjin Shipping is part of the Seoul-based Hanjin Group, a huge, family-dominated conglomerate, or chaebol, that also includes Korean Air. Earlier in the week, the Hanjin Group said it will inject nearly $90 million, including $36 million from its chairman Cho Yang-ho’s personal assets, to help resolve disruptions to the supply chain. The group said it will provide its stakes in overseas terminals, such as the one Hanjin operates in Long Beach, as collateral to borrow $54 million. That still falls short of the fees that Hanjin Shipping must pay for services it needs to offload cargoes already on its vessels. According to local media reports, that amounts to $543 million. DAMASCUS, Syria, Sept. 12 (UPI) — A cease-fire — supported by both Russia and the United States — between Syrian President Bashar al-Assad’s regime and a consolidated group of Syrian rebels began on Monday. It is not yet clear whether the cease-fire will last but both sides have assured they would comply — with voiced reservations. The cease-fire was announced on Friday after U.S. Secretary of State John Kerry met with Russian Foreign Minister Sergey Lavrov. The cease-fire comes a day after the start of the four-day Eid al-Adha Muslim holiday. Assad held a ceremony in the Saad Ibn Muaz Mosque of the Darayya suburb of Damascus to celebrate the festival, in which he said the Syrian state is determined to retake every area from the terrorists and restore security and safety” — using the term “terrorist” to mean both Syrian rebels and the Islamic State. Assad said his opposition’s ideology is made up of “false freedom.” In reference to the cease-fire, he suggested rebels who wish to come back to what he considers is the right track will always be welcomed. “We come here today to replace the false freedom they tried to market at the beginning of the crisis, including about Darayya, with the real freedom; the freedom that starts with restoring security and safety, goes through reconstruction and ends with the independent national decision,” Assad said. The cease-fire will allow humanitarian aid to reach the millions of Syrians that require help due to the half-decade civil war. If the cease-fire holds for a week, the United States and Russia will begin steps to combine military operations to eliminate obstacles to peace — including militant groups the Islamic State and Jabhat Fateh al-Sham, formerly known as the al-Nusra Front. Assad’s regime is accused of committing human rights abuses, including using chemical weapons on civilian populations. b) Why did the Kuwaiti government give this warning to their citizens? Be specific. 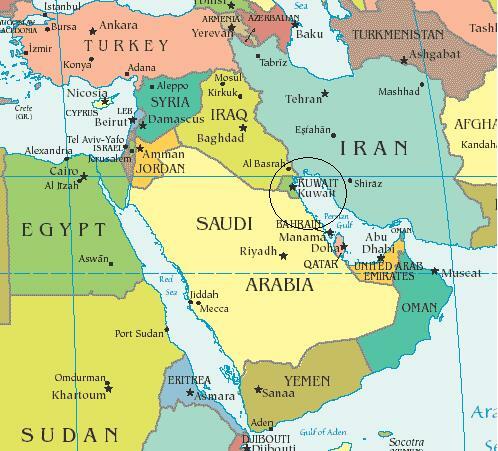 c) This Reuters report notes: “The Gulf Arab OPEC oil exporter is a key U.S. ally and a member of an international alliance led by the United States which is fighting against Islamic State in Syria.” Considering this, do you think Kuwait should warn travelers to get rid of any Islamist extremist material on their smart phones? 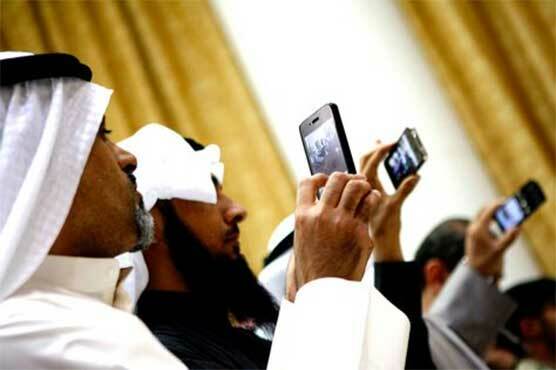 Do you think Kuwaitis who are opposed to the goals of radical Islamists would have that material on their phones? Should the Obama administration discuss this with the Kuwait government? Explain your answers. b) Why have dozens of Hanjin ships around the world been stranded? c) What type of merchandise do the cargo containers on the ships contain? d) Approximately how much is it worth? e) How is Hanjin addressing the problem of payment to creditors after declaring bankruptcy? b) The Syrian civil war began 5 years ago. Read about the rebel groups in Syria under “Background” below, then watch the news report under “Resources.” What did President Assad say about all of those fighting his troops? 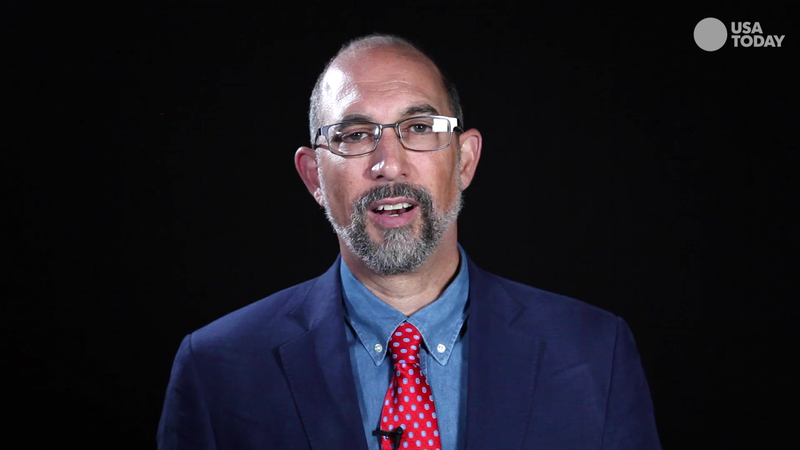 c) What action will the U.S. and Russia take if the cease-fire holds for a week? 1. Islamic State of Iraq and the Levant (Isil): International jihadists, use extreme violence as propaganda in support of their trans-national “caliphate”. 2. Jund al-Aqsa: Split off from Jabhat al-Nusra (see 3) owing to latter’s opposition to Isil, with which it co-operates. 3. Jabhat al-Nusra: set up by Isil as Syrian branch of al-Qaeda. 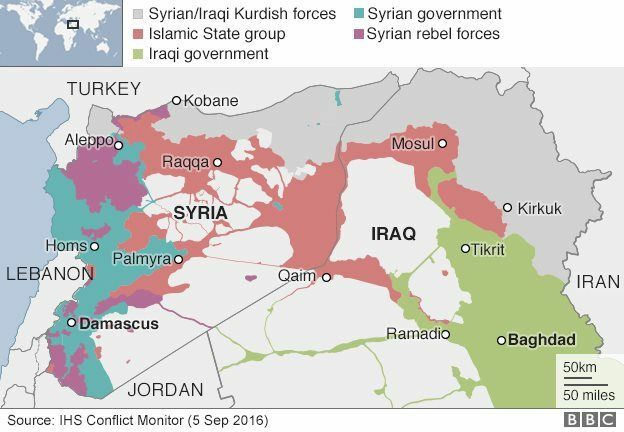 It split from Isil in 2013 and now balances loyalty to al-Qaeda with alliances with other Islamist rebel groups against Assad regime. 4. Ahrar al-Sham: Salafi Islamist jihadist group that says it is focused on Syria and has no international goal. Counted al-Qaeda-linked militants among founding members but has links to western allies Turkey and Qatar. 5. Jaish al-Islam: Salafi Islamist rebel group backed by Saudi Arabia. Works with other rebel groups but is accused by some of them of abusing human rights in areas it controls. 6. Jabhat al-Islamiyya (Islamic Front): Alliance of the above two and a score of other Islamist groups. 7. Jabhat al-Shammiya (Levant Front): Another alliance of Islamist rebel groups, particularly in northern Syria. 8. Southern Front: Alliance of non-jihadist Islamist groups, typically backed by the Muslim Brotherhood, and secular rebel groups. 9. Free Syrian Army: Now existing in name only, it is used to refer to a collection of secular rebel divisions, some US-backed, often originally set up by regime army defectors.